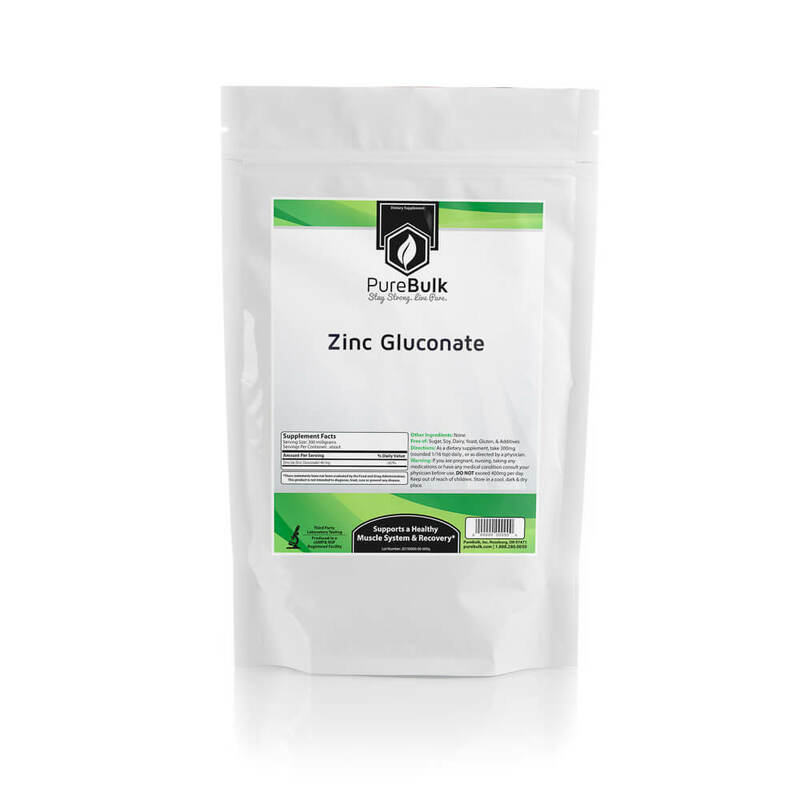 Zinc gluconate is the zinc salt form of gluconic acid. This form of zinc contains about 15 to 16% elemental zinc. 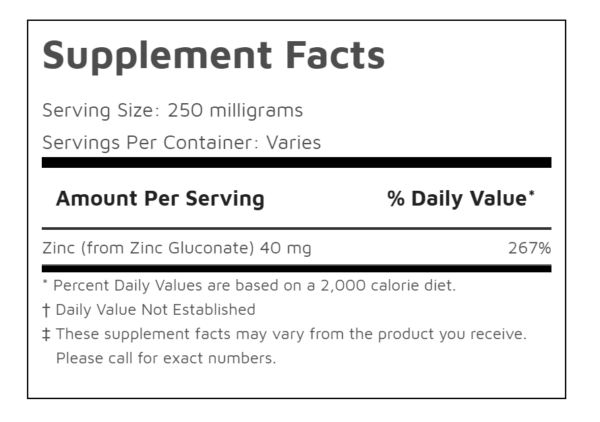 Take up to 250mg of Zinc Gluconate once daily for a yield of 40mg elemental zinc. The recommended daily intake, or RDI, is 10-15mg daily and the tolerable upper intake limit, or TUL, is 40mg daily. A dose of 94mg of zinc gluconate yields the RDI of 15mg elemental zinc. Zinc Gluconate stacks well with vitamin C for immune system support.